German photographer Stephan Zirwes may be known for his eerie, calming aerial photography, but his recent additions to the Pools series push the art to new heights. Zirwes is mesmerized by the top views of everyday settings such as golf courses, soccer fields, and swimming pools. With a drone, he captures the silent drama of these places, some occupied by visitors, while some completely void of human activity. 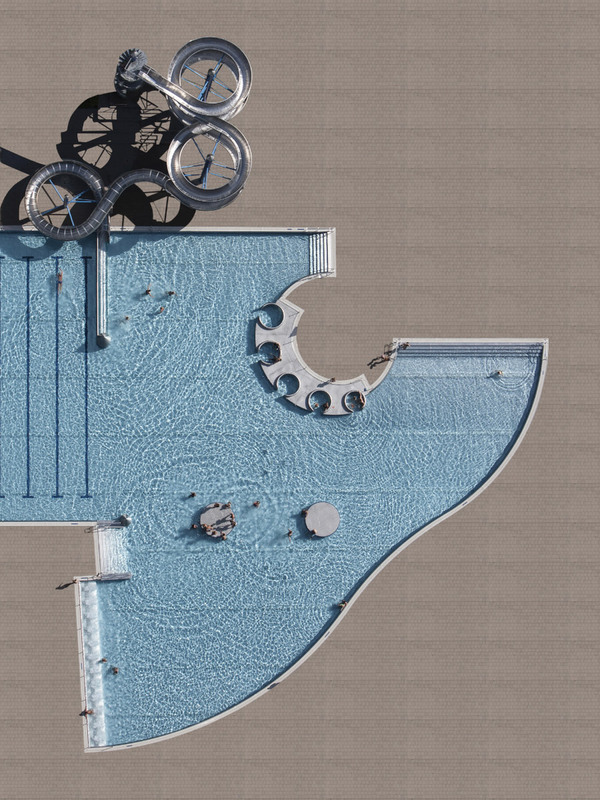 The abstracted images, with surroundings edited out, focus our concern on the pools with a playful but graceful approach. 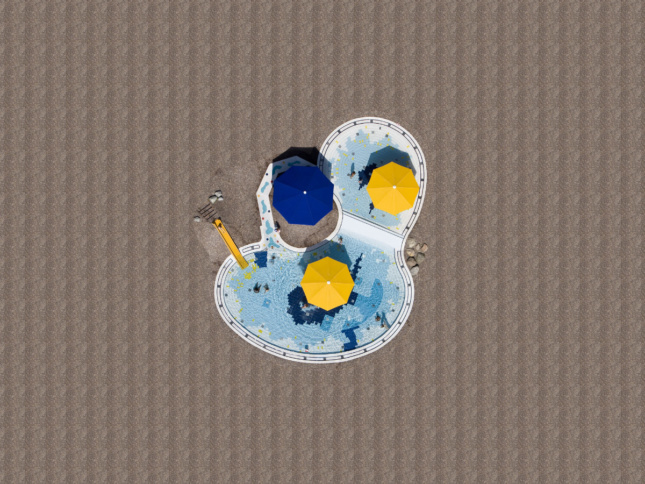 In a photo of an irregularly shaped, vacated pool titled sardegna, a sunbrella, pair of sandals, and ripples on the water surface hint at the presence of a swimmer. In another photo titled yellow slide, a slide hovers above the unoccupied pool. 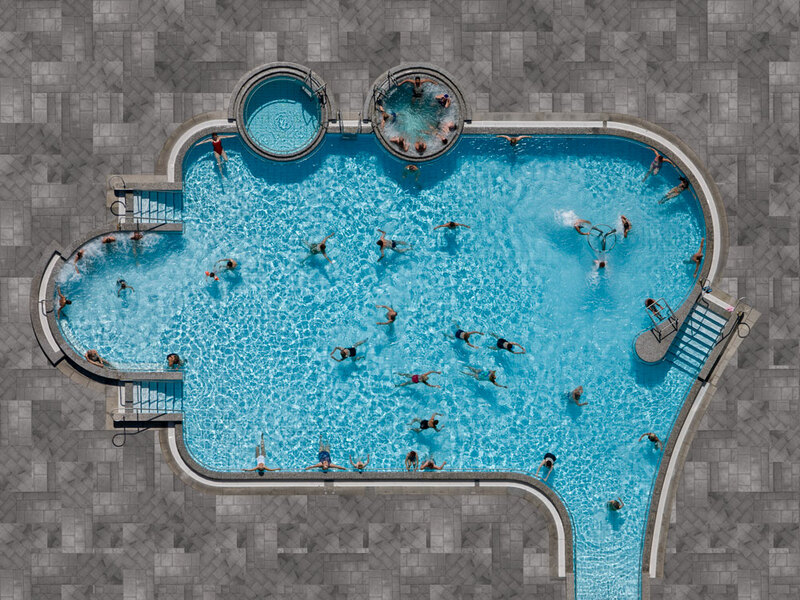 The crisp, horizontal strips painted at the bottom of the pool are blurred by the slight ripples. The vertical bricks are seen in perpendicular to the pool’s lines, making up a peaceful composition.